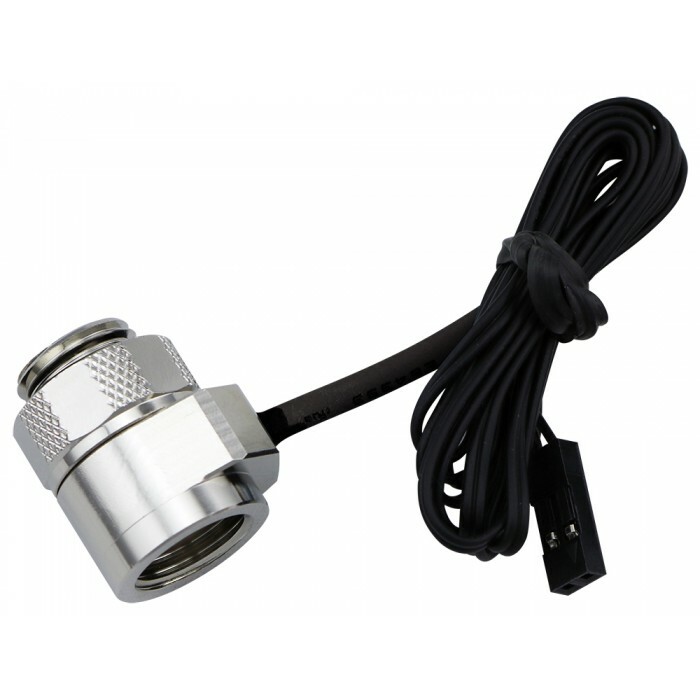 Coolant thermistor temperature sensor within a swiveling brass body. Male and female G 1/4 BSPP threads are provided on either end. Wire length = 30" (76cm). NOTE: This sensor will only work with Koolance products which use 10K Ohm @25°C sensors (first introduced in 2011).